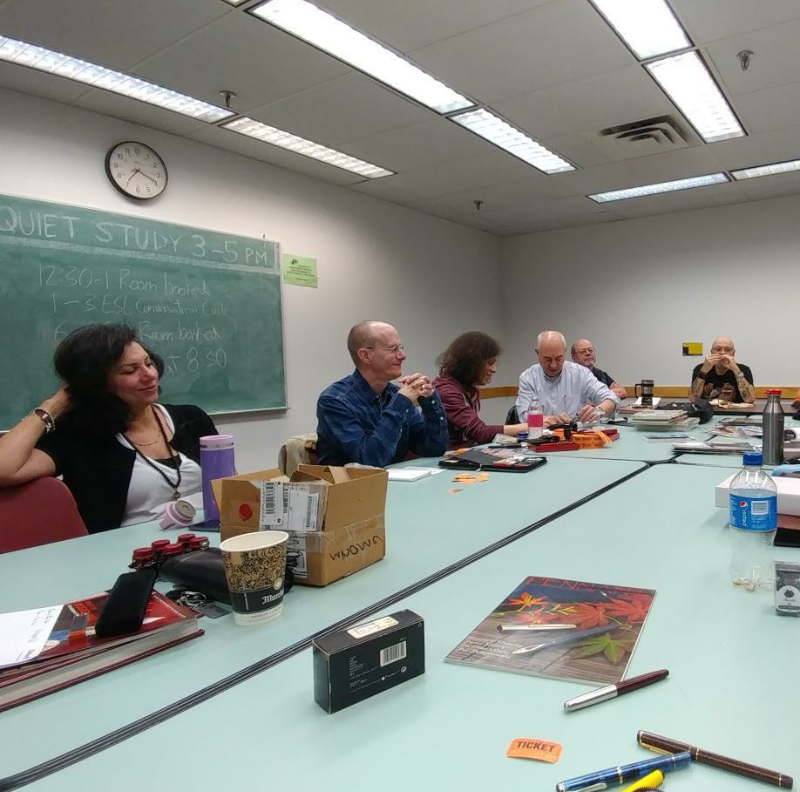 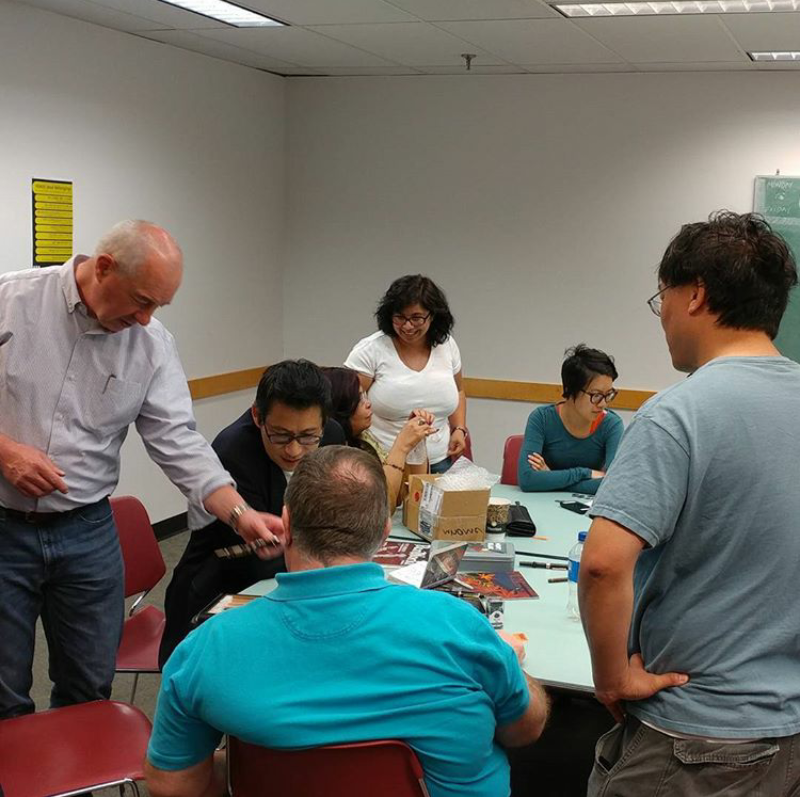 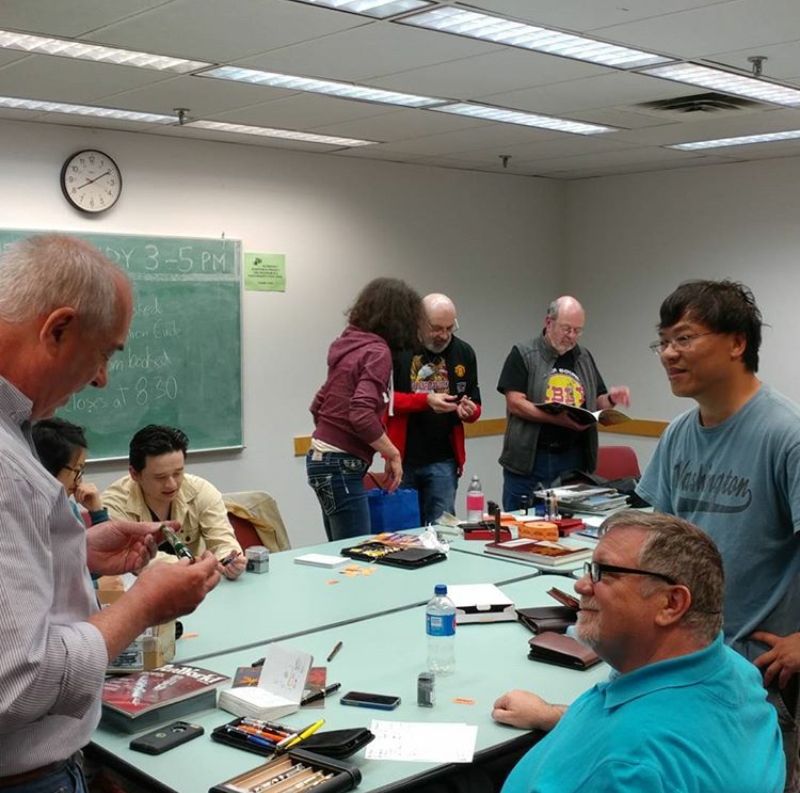 Vancouver Pen Club: June meeting pics - part 2! June meeting pics - part 2! (Photo below) From L-R: Marzieh, Stuart, me (Maja), Bruce, Bill K and Justin. (L-R) Angela, Linda (one of our newer members), Marzieh and Stuart. 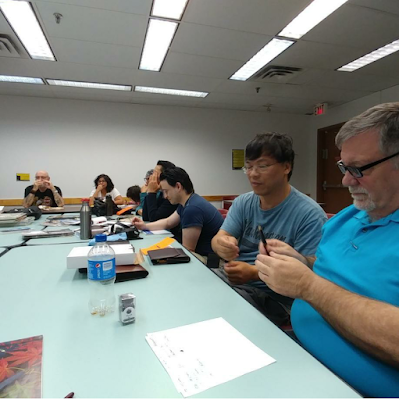 (Left to Right) Justin, Alejandra, (Alejandra's daughter--in the background) Mindy, Peter, Jerred, Stanley and new VPCer Paul. 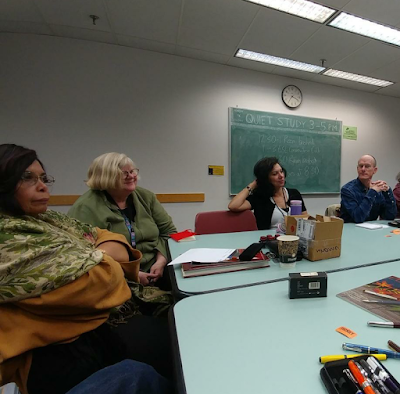 (L-R) Bruce, Tony (with glasses), Paul, Angela, Alejandra, Jenny, and Stanley. The turnout for our June meeting was a bit smaller than usual, but not unusual for a summer meetup. 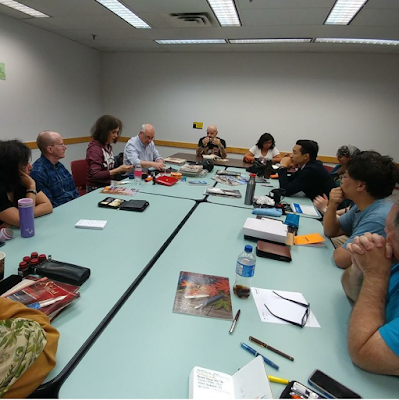 Many thanks to the Oakridge branch of the Vancouver Public Library for allowing us to use their meeting room for our meetings this year! 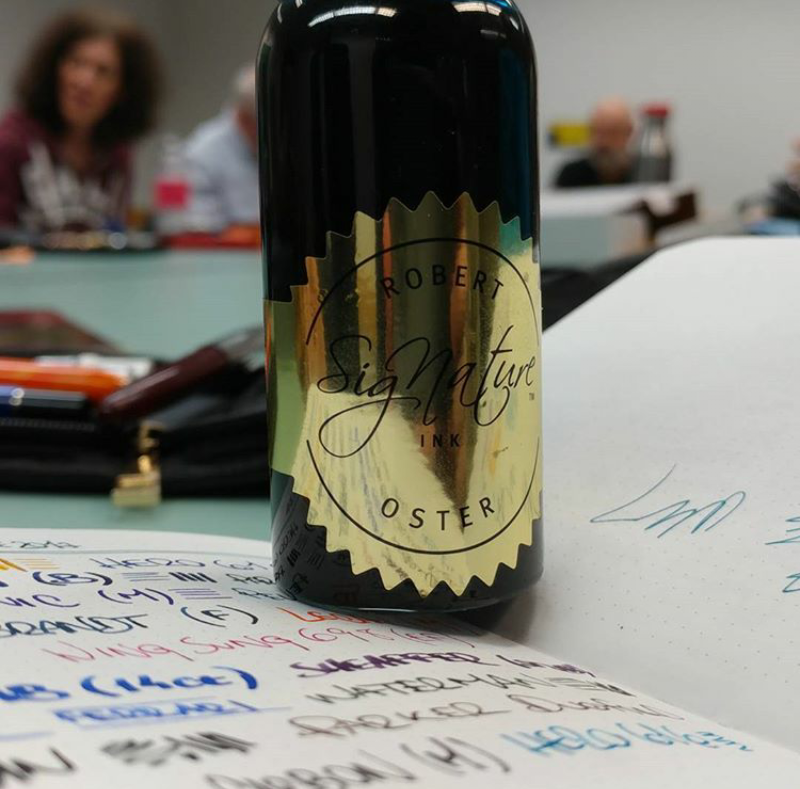 My bottle of Robert Oster fountain pen ink, courtesy of Nikaido gift shop in Richmond, BC. 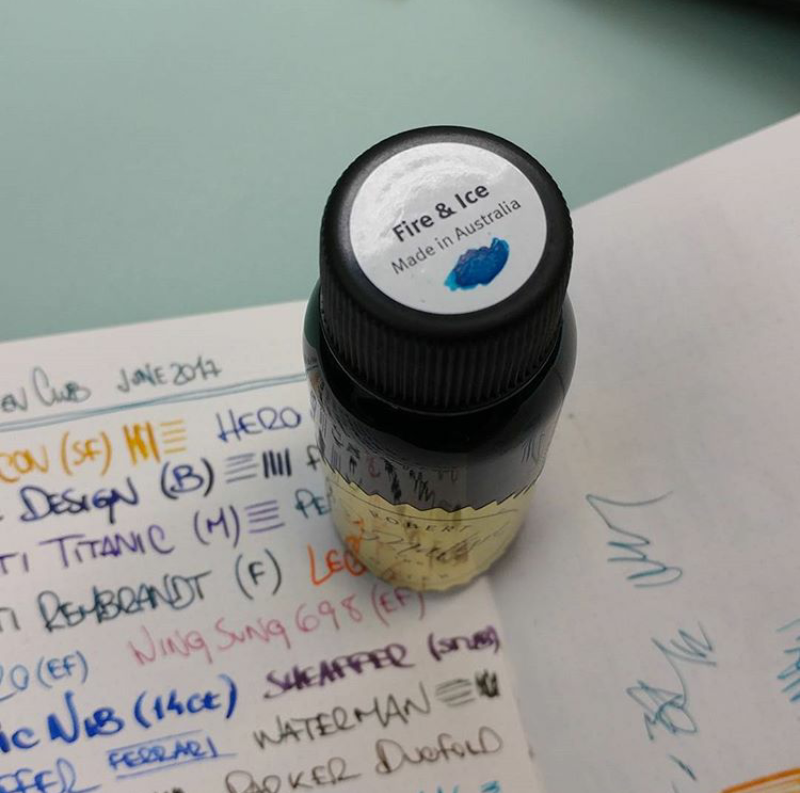 The ink got a universal 'thumbs-up' from our members, when I passed it around the room and allowed everyone to fill their fountain pens with it!